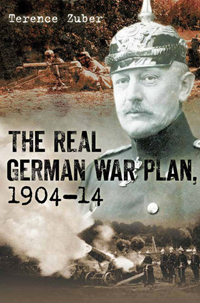 The Real German War Plan 1904-1914 fundamentally changes our picture of German military planning before the Great War. On the basis of newly-discovered or long-neglected documents from German military archives, The Real German War Plan 1904-1914 gives the first description of Schlieffen’s war plans in 1904 and 1905 and the younger Moltke’s war plans from 1906 to 1914. It explodes hoary but unfounded myths concerning German war planning, gives the first appraisal of the actual military and political factors that influenced German war planning, proves conclusively that there never was a ‘Schlieffen plan’ and reveals Moltke’s plans for a war against Russia from 1909 to 1912. It traces the decline in the German military position and the recognition in 1913 that Germany would be forced to fight outnumbered on both the east and west fronts.